It was back to Summerhayes and back on Sellicks this Sunday, I was really hoping for a draw on the other side but when the bucket reached me there were only two pegs left and Gabe Skarba said he’d have the last peg so I went in and peg 5 wasn’t the result I’d hoped for and Gabe ended up on peg 11. 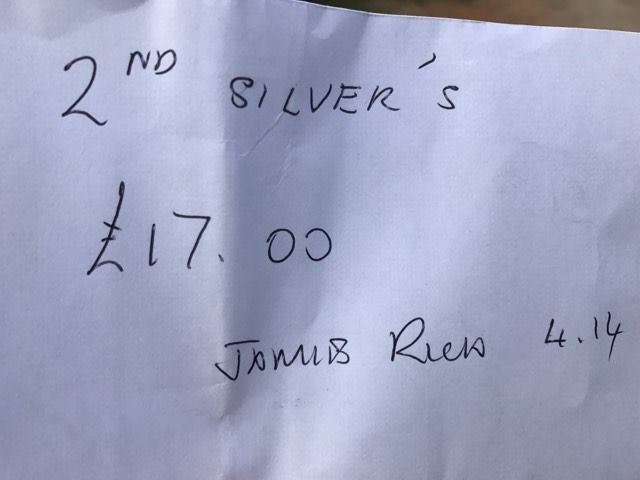 Every other peg was in today, so my nearest neighbours were Bill on peg 3 and Janders on 7 so I’d be able to keep an eye on him with regards to our side bet, Alvin Jones also said he wanted a pound on silvers as he was going to fish for them for an hour! The pond was flat calm which wouldn’t do us any favours and I thought 7-8lb would be a good weight of silvers today. I set up a 0.4 gram Malman Pencil for two lines at 10 metres and the usual 5 metre line and bait was nice and simple with just 4mm expanders and some soaked micros on the side tray. On the whistle I fed all three lines with half a pot of micros before starting on the right hand line, I missed a couple of indications before hooking a carp which turned out to be a nice orange ghost/koi of around 2-3lb, nice but not what I was after. I lost a foul hooked carp before finally opening my silvers account with a 2oz blade but that was it for the first hour! Bill had landed a few carp but from what I could see on our side, not a lot was happening. At the start of the second hour, the float sailed away and as soon as I struck I knew I’d foulhooked a carp, I gave it some stick and it was a case of come in or come off but then a nice crucian around a pound and a half popped up, hooked in the wing and I gratefully netted it. I added a little tench soon after and Janders also landed a skimmer but it was slow going. I was swapping between the two ten metre lines but all I had from the right hand swim was the odd carp and I lost several foulhookers too, I did have one on for ages and it gave me a right run around, even going under my pallet, much to Janders amusement! In amongst the carp I did get a slightly better skimmer from the left hand line but I just couldn’t string two silvers together. Janders had a couple of small tench but I thought I was still just ahead due to my skilfully caught crucian (cough, cough!). I left the shorter line for three hours before trying it and yep you guessed it, the first bite resulted in a carp! I know I’ve said it several times but it was amazing how many times I hooked into a fish that I would have sworn was a skimmer only for it to turn into a carp when I got down to my top kit! Bill was still catching quite well and from what I could see, Roy Hughes on peg 9 and Gabe on 11 were both catching carp so I stuck at it although I was sure somebody would find some skimmers on the other side. With around an hour to go I had a nice tench about a pound from the short line and then had a 6oz skimmer but then it was back to hooking carp. Alvin shouted across from peg 21 and held up a nice skimmer so it was looking like I’d be paying him a pound. I stayed on the short line for the remainder of the match but didn’t add anymore silvers and it had been really hard work today. 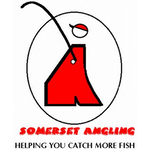 On the whistle I only had nine silvers (one crucian, four tench and four skimmers) for 3-4lb and about fifteen carp! 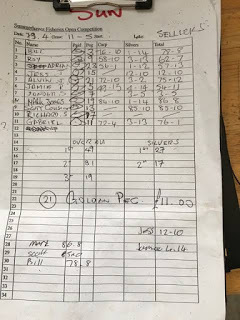 After packing up, the scales started with Bill who had 78lb 8oz of mainly carp to set the pace, I was next up and my carp went 49lb 13oz and my silvers weighed 4lb 14oz, to give me a total of 54lb 11oz and I was only a fish or two short of my best Summerhayes weight ever! Janders didn’t weigh his carp and had 3lb 5oz of silvers, then Roy had 62lb 7oz which included 3lb 13oz of silvers and Gabe needed one more fish as he weighed 76lb 1oz. 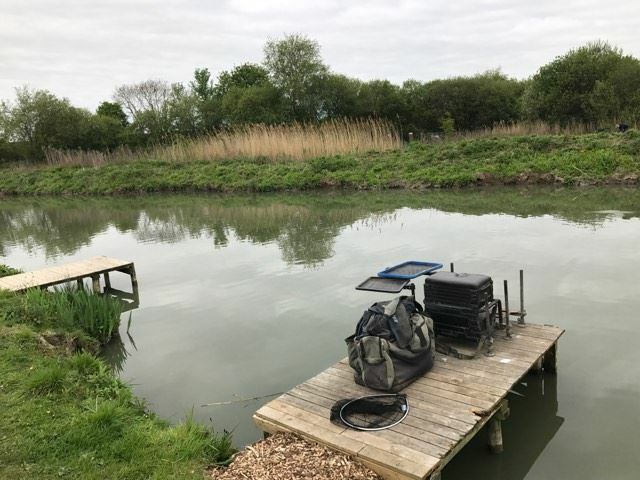 Scott Cousins was on peg 13 and after he weighed his three nets of carp, his total was 85lb 10oz to go into the lead and he’d thrown back three small tench so he could use that net for carp and said he’d hoped that wasn’t going to cost him. 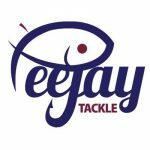 Jess Jordan had fished for silvers on peg 15 and when he pulled his net out, he had a lovely bag of skimmers and tench for 12lb 10oz. Rich S didn’t weigh on peg 17 and then Mark Jones just pipped Scott with 86lb 8oz which included a tench of 1lb 14oz and Scott was regretting throwing his back! 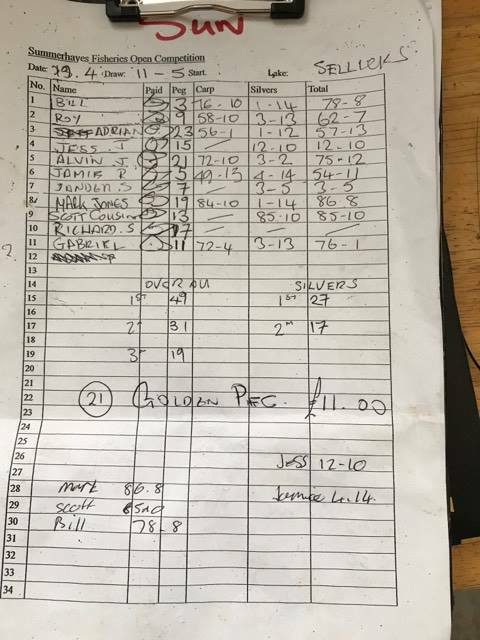 Alvin had 75lb 12oz on peg 21 and his silvers weighed 3lb 2oz so I was another pound up and still hanging on to second in the silvers with just Adie Bishop left to weigh on peg 23, he had 57lb 13oz but only 1lb 12oz of silvers. Back at the results it was confirmed Mark had won and Scott was second so some money back to help soften the blow of putting his foot through his number six section! (so quite an expensive day! 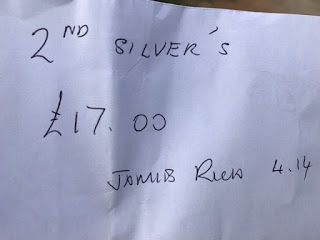 ), Bill was third, Jess won the silvers easily and I sneaked second and picked up £17 to help pay for the day. Close weights overall but not in the silvers! We’re back again next week and it’s on Longs so hopefully we’ll get a few bites although the carp are starting to wake up now so come back to see how it goes!